Singer and rapper Lizzo has been on the scene for a while but, if you're just getting acquainted the 'Juice' singer, here's everything you need to know about Lizzo's flute playing, real name, hometown, TV appearances and more. Lizzo is an American recording artist known best for songs like “Juice”, “Boys”, and “Good As Hell”. The talented singer and rapper often incorporates themes of confidence and self-love into her music. Lizzo is also a talented flautist, having studied the instrument from a young age. Lizzo will release her third studio album later in 2019 so here are some facts about the talented musician that you might not have known before. 2. How old is Lizzo? Lizzo was born April 27, 1988. She is 30 years old and her star sign is Taurus. 3. How tall is Lizzo? According to multiple online sources, Lizzo is 5 foot 10 inches tall. 4. What is Lizzo's hometown? Where did Lizzo grow up? Lizzo lived in Detroit, Michigan for the first 10 years of her life before her family relocated to Houston, Texas. 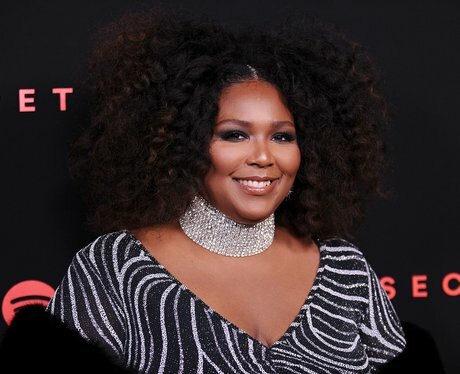 In an interview, Lizzo revealed that when she was younger, she used to call into a local Houston radio station and freestyle rap in order to win competitions and show off her abilities. 5. What is Lizzo's birth name? Lizzo was born Melissa Jefferson but goes by Lizzo professionally. 6. What college did Lizzo attend? What did Lizzo study? Lizzo attended University of Houston where she was in the marching band and studied classical flute performance. Lizzo collaborated with Prince on his 2014 album ‘Plectrumelectrum’ for the song “BoyTrouble”. Lizzo called working with Prince a “surreal” experience and said it was “like a fairytale”. Lizzo is a classically trained flute player. She has been playing the flute since she was a young child and played in the marching band at University of Houston. Lizzo often plays flute during her live shows and has said in interview that one of the ways she learned early on was by playing along to the radio. Lizzo was a guest judge on 'RuPaul’s Drag Race in 2018. In addition to having Lizzo as a judge, the bottom two queens were tasked with lip syncing for their lives to Lizzo’s song “Good As Hell”. Lizzo appeared in a 2014 episode of “Made In Chelsea” as a performer. The cast spent time in New York City where Lizzo played herself treating the Made In Chelsea cast to a performance of Blondie’s “Rapture”. In January 2019, Lizzo made her Billboard r&b chart debut with her single ‘Juice’. On January 29, 2019, Lizzo appeared on 'The Ellen Show' for the first time and performed “Juice’ live on TV. Lizzo will release her third studio album ‘Cuz, I Love You’ in April 2019. Her single ‘Juice’ will appear on the release. Prior to 'Cuz, I Love You', Lizzo released an EP, 'Coconut Oil' in 2016. You can catch Lizzo on Instagram at @lizzobeeating where she shares cute photos and videos, including ones of her playing the flute! You can also catch her on Twitter at @lizzo.